It wasn’t a surprise that when Nuvoland Philippines Inc. —— the joint venture real estate development company of the Belmonte family (Philstar Daily), Jimenez family (GMA7 network) and the Martinez family (which includes real estate entrepreneur Rally Martinez) —— hosted a twin launching event of The Infinity project in Fort Bonifacio and Nuvoland’s coming-out party, it was nothing short of spectacular. The event, which was held at the Every Nation Center at Fort Bonifacio, had been themed to something out of the Star Wars trilogy, providing a great backdrop for the project tagline... timeless, boundless and immeasurable. The Infinity project, another masterpiece of the famed architects RECIO + CASAS towers 48 storeys, will be the first mixed use condominium in the Global City, featuring commercial, office and residential units for the discriminating few. Nuvoland’s partner in this project is Silverman Holdings, represented by Cesar and Ditas Hernandez. The evening’s festivities were hosted by Edu Manzano and Donita Rose, with the Manila Philharmonic Orchestra and the Maneuvers providing the entertainment. The standing room only crowd of 800 guests packed the event hall, which must be a record of sorts for a recent real estate project launching. Menardo Jimenez, chairman of Nuvoland and Kevin Belmonte, president of Nuvoland, took charge in greeting the throngs of guests and well-wishers. 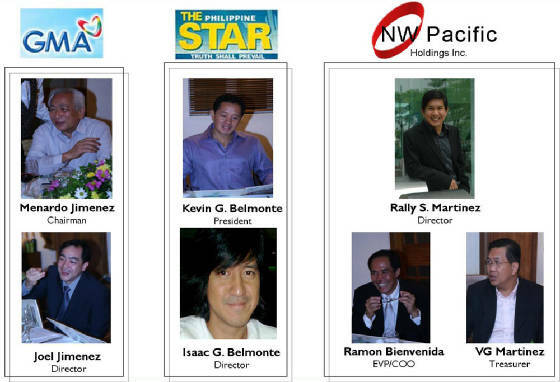 Joining them were Nuvoland directors, Joel Jimenez, STAR editor-in-chief Isaac Belmonte, Vigy Martinez, Rally Martinez, Ramon Bienvenida and Silvericon’s Edward de Castro. Just by looking at the multitude of people making a beeline in The Infinity project sales area during the event, it seemed clear that the real estate sector has begun to perk up and that the Infinity project will be a great success.